Coast to Coast in a fun way: 2 overnight hot springs stays, BBQ dinner, lots of parks, and roads free of speeding cars. 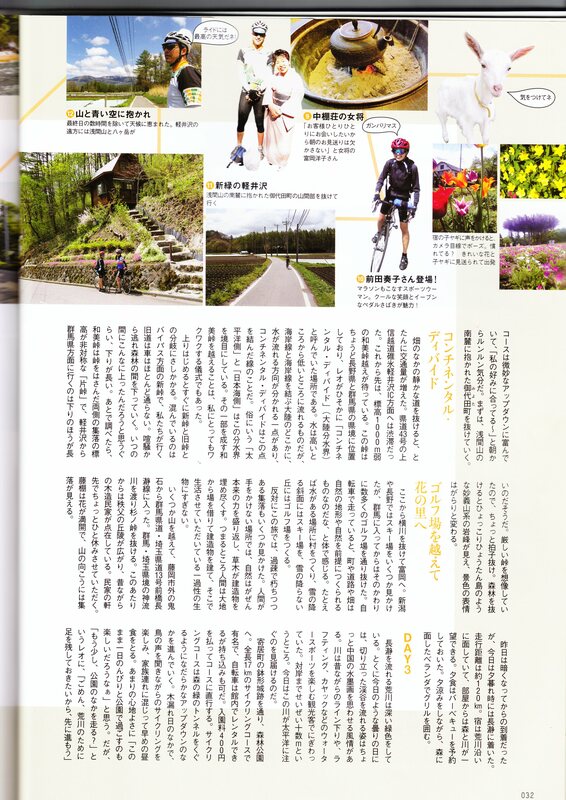 See rural Japan, and enjoy great cycling. Recognized by JitenshaJin magazine. Purple marks the start in Niigata. Gold marks the goal on the Bay. Red triangle is a large mountain we hope to view: Asama-san. mark prefectural borders, of which we cross 4. 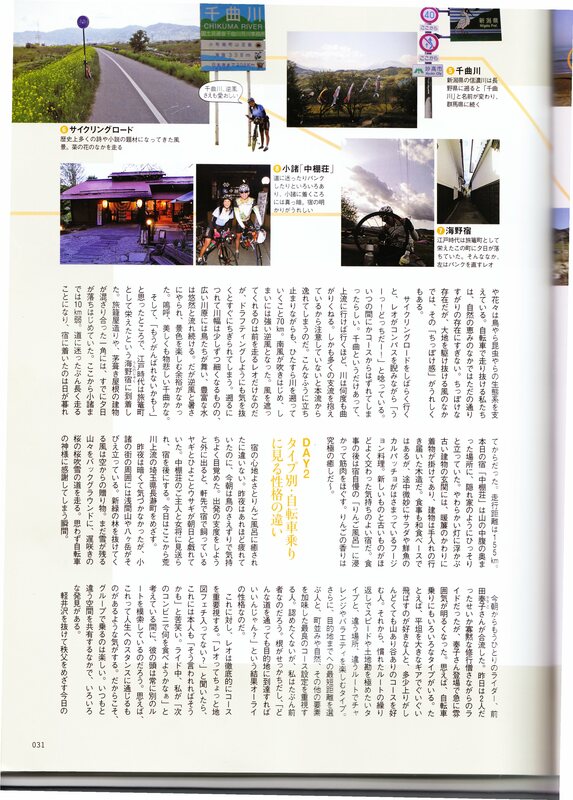 The JitenshaJin Magazine article about this ride can be found in 4 parts: Part 1, JitenshaJin Coast to Coast from 2008. 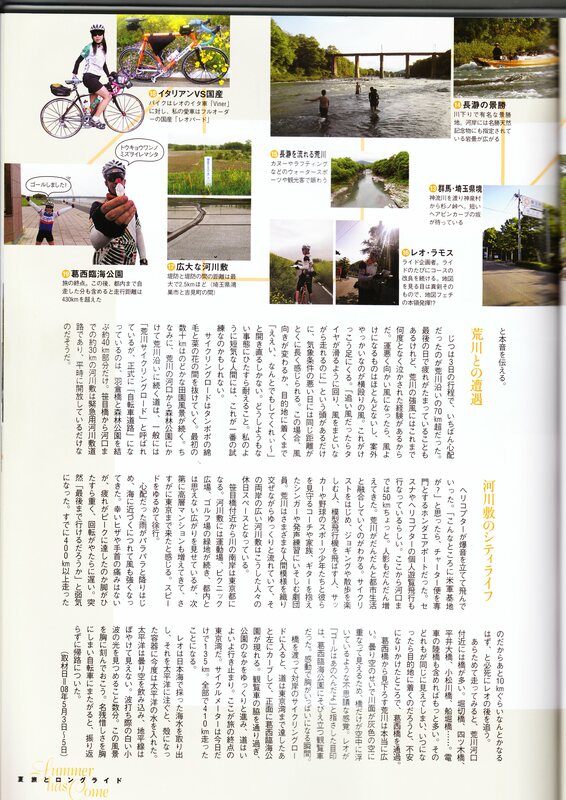 Part 2, JitenshaJin Magazine article on Leo's Coast to Coast ride. Part 3, JitenshaJin article. Part 4, JitenshaJin article. Saturday: 135 km Japan sea - Nagano. Sunday: 130 km Nagano - Saitama. Monday: 130 km Saitama - Tokyo bay. Then ride home. Pending research and planning for next run. Contact Leo to Join sometime. Member introductions down below. 3 days of riding. After meeting in Joetsu, each day's schedule will be finalized one day at a time. Weather will be a factor: if we see bad conditions early, we might wait. But more likely, if we see bad conditions late, we'll leave extra early. Day 1: Long and hard day, so we'll leave early. Day 2: Hard, and with difficult navigation. Day 3: Not as hard, and easy to find the way. 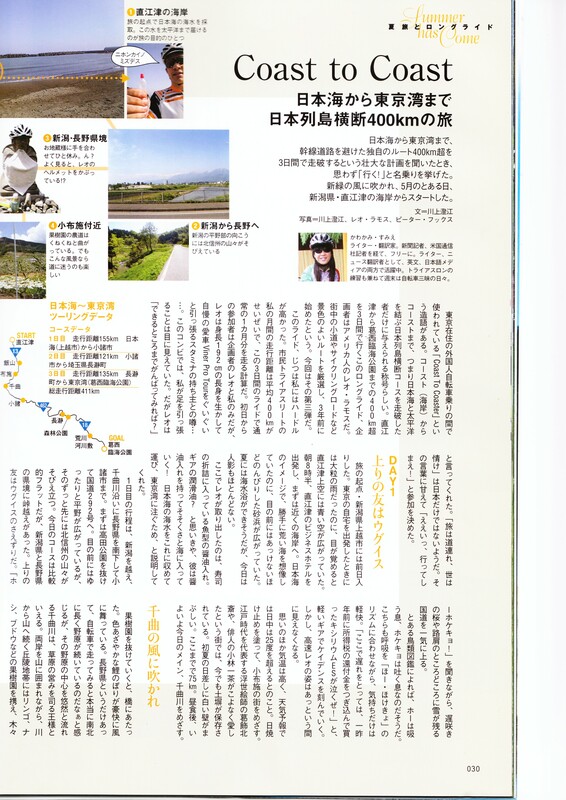 Chikuma Gawa千曲川 cycling road. A 25km stretch of day1. Unno「海野宿」 in Ueda, Nagano. A traditional Japanese old town. Day1, afternoon. We cross the "continential divide" at an elevation of -- 980 meters -- on day 2, morning, in the mountains near Karuizawa. Safari Park in Gumma. Day2, afternoon. Watch out for Tigers and Lions. Our Meal option on day2: BBQ. End point of the tour: Kasai Rinkai Koen, where Ara-Kawa meets Tokyo Bay. Please plan your own ride home from here. Things we get at a minshuku and need not bring: yukata robe, toothbrush, toothpaste, shampoo. How to train: Time to work on your equipment - get it in perfect shape - then you are ready. Fast riders help the slow riders: while waiting for the group, whoever gets out ahead, we'll want to do recon, scout routes and terrain for future rides, keep an eye out for bike shops, sights to see. We'll want photos, and of course, tasty places to grab food and drink. Also need people to set the tempo.